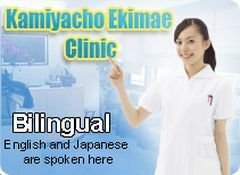 Since 1998, we’ve been providing services for the healthy life of non-native residents of Japan. VIVA VIDA! Association, the predecessor of VIVA VIDA MEDICAL LIFE Co., Ltd. was established in 1998 with a motto of “Full Coverage at Low Cost”. Since then, the number of our members has increased accompanying with the increase of foreign workers; and we have devoted all our energies to provide safe and reliable services covering illness and injury of our members. 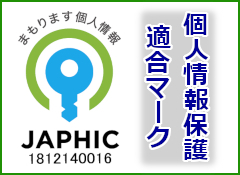 Large number of companies and embassies with non-Japanese employees choose our services. The principle of VIVA VIDA MEDICAL LIFE Co., Ltd. is to provide “Security” to every member at minimum cost. Our activities has also widely been acknowledged among the companies having non-Japanese employees and foreigners visiting or residing in Japan through the mass media, and the range of the activities has broadened. We believe our mission is leading the insurance services for them. Coverage for health and security would be a great motivator to your employees. Under the circumstance for many non-native residents who are not adopted to the Medical Insurance System in Japan; problems relating to their medical expenses such as unpayable medical fees or can not have a doctor’s consultation is becoming serious all over Japan. There are many cases that person with no insurance has to bear all the medical fees by himself/herself and he/she may go bankrupt for unable to pay or would not take any medical treatments for the fear of having high burden. VIVA VIDA MEDICAL LIFE Co., Ltd. would support non-native residents of Japan to live in safe. In the rapidly aging society with a falling birthrate, the demand for foreign workforce increases. Keeping their life mentally and economically rich connects to their higher motivation for work. See below for the main coverage and amounts. 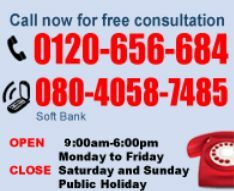 VIVA VIDA MEDICAL LIFE CO., LTD. is a licensed LIFE & HEALTH INSURANCE company in Japan registered with the Japanese Government. Viva Vida Medical Life Co., Ltd. is regulated by the Kanto Local Finance Bureau (registration no. 51) as a Small Amount and Short Term Insurance Provider under the Insurance Business Act. When you buy insurance from Viva Vida you can buy with confidence and security. ©2011 VIVA VIDA MEDICAL LIFE CO.,LTD. All rights reserved.